Moonlight Bay Suites is ideally situated on Roebuck Bay and only minutes away from Broome's China Town. 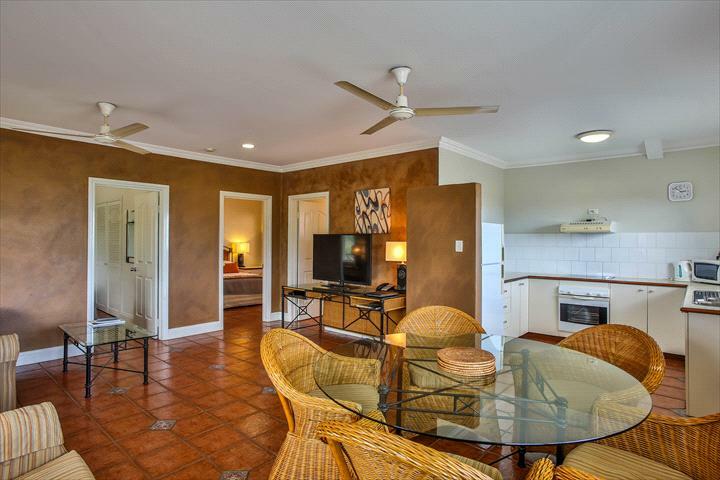 If you are looking for quality Broome accommodation close to shops, the Court House Markets as well as attractions such as Pearl Luggers and the historic Sun Picture Theatre, Moonlight Bay Suites is the place to stay in Broome. Offering spacious 1 & 2 bedroom fully self-contained suites together with a huge 28m outdoor pool, poolside BBQ’s, Gym and onsite Day Spa - Coco Beauty Broome. Our award winning restaurant and brewery, MATSO'S BROOME BREWERY is ideally located over the road. Guests are welcome to use all facilities on the day of departure. Late check outs are welcome to leave luggage with reception and a guest room is available for a shower and to freshen up before leaving. We offer spacious one and two bedroom fully self-contained suites. Of our 50 suites, 25 feature views of beautiful Roebuck Bay and the property’s huge 28m pool. All rooms include LCD TV, DVD & access to 16 Foxtel channels, including 6 movie channels & also FOX Footy. Two Bedroom Deluxe Suites include a private balcony, spa bath, dishwasher, washer & dryer. Amenities also include two free poolside BBQ’s & a gym. Guests with late departures are welcome to leave luggage with reception and the Guest Room is available for a shower and to freshen up before leaving. Guests are welcome to use all facilities on the day of departure. Our award winning restaurant and brewery Matso's is ideally located over the road. Our iconic brewery has become one of the must do's of Broome and is a perfect place to relax and enjoy fantastic food and great beer! Evening room service and charge back facilities are available. As a private accommodation provider in the Kimberley region we pride ourselves on our local knowledge, friendly personal service and flexibility. 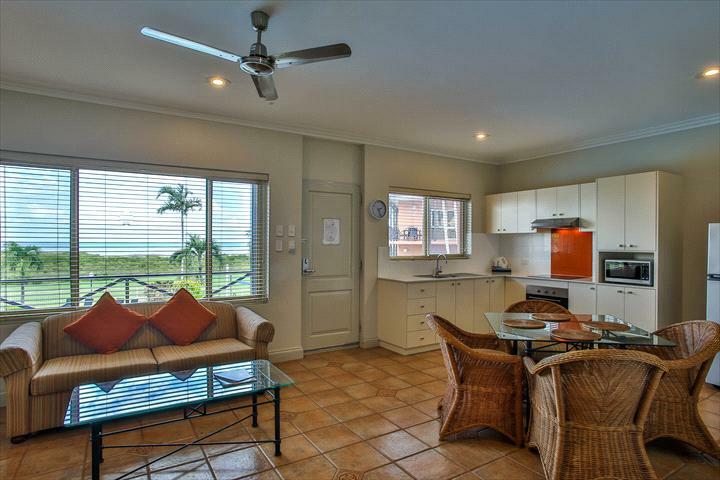 One Bedroom Bay View Suites have views of Roebuck Bay and our huge 28m pool. Suites offer spacious self-contained accommodation with a combined kitchen and living area. 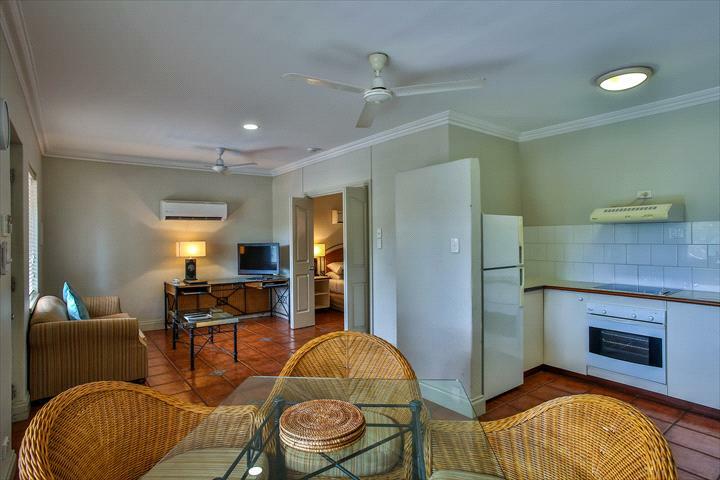 One Bedroom Garden View Suites offer spacious self-contained accommodation with combined kitchen and living area. 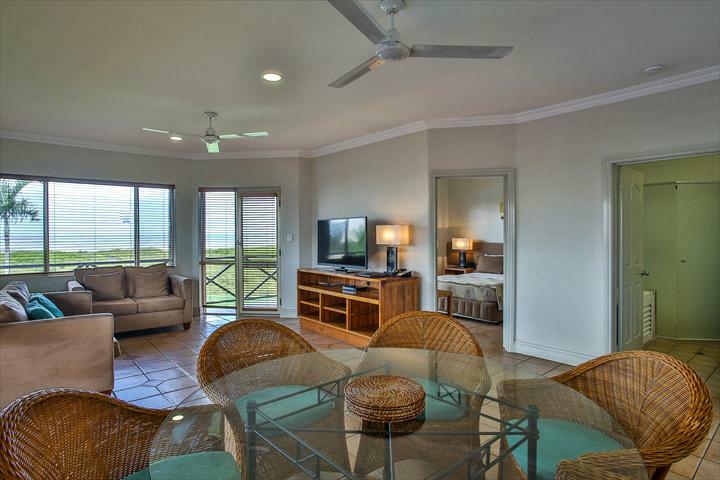 Two Bedroom Deluxe Suites offer spectacular views of Roebuck Bay. This self-contained accommodation has all the extras including a private balcony, spa, digital TV and iPod docking station. Two Bedroom Garden View Suites offer self-contained, perfect for family and friends. Suites offer spacious self-contained accommodation with a combined kitchen and living area. 72 hours or more no charge if accommodation is cancelled 72 hours prior to arrival. 72 hours or less 1 nights accommodation will be forfeited.